Every wanderer needs a good cookbook. Not for the times when out roaming, but for when life calls one home. A cookbook filled with culinary treasures from lands explored is a perfect companion to the restless soul bound to his own kitchen. Nothing enlivens your most cherished memories quite like crafting favorite dishes from adventures abroad. 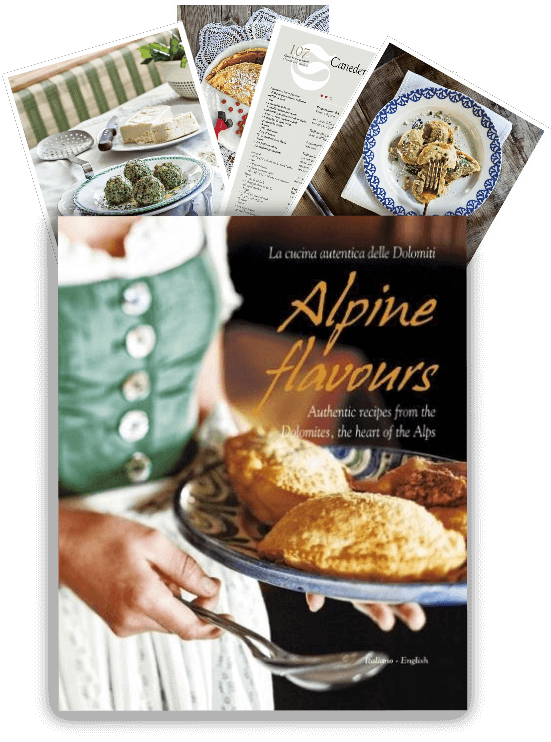 For us, the cookbook we cannot live without is Alpine Flavours: Authentic recipes from the Dolomites, the heart of the Alps. When pining for the immensity of mountains and wild-hearted treks, we crack open this cultural gem of traditional Alpine recipes and bring mountain-born goodness to life in our home. If you crave cuisine that matches the hearty ruggedness of the mountains, look no further. As you’ll see below, this cookbook beautifully captures the magic behind authentic specialties, entrees and desserts of the Alps. From mountain favorites such as Speckknödel (bacon dumplings) to Schweinshaxe (pork shank) to Hirschgulasch (venison goulash), as well as an assortment of pastries and apple-centered dishes, the cookbook inspires recreating the rich flavors and down-home spirit honed over centuries deep within the Dolomites. Crafting Alpine food dishes are made even more enjoyable when the cookbook transports you to the Alps through vivid imagery. Based on our experience cooking with this book, we think it’s one every mountain lover should own. The Alps of South Tyrol are after all the world’s most tantalizing mountains; it’s no surprise its hearty cuisine offers equal enchantment. The book has wonderfully served as our master chef guiding us to filling our dining table with age-old recipes handed down from one generation to the next. Alpine Flavours not only helps you savor the mountains, but also carries you along a cultural journey with captivating images throughout. From front to back, the book is crafted like a perfectly plated dish. It could just as easily adorn your coffee table as it could your countertop. Each delicious dish is paired with an exquisite South Tyrolean wine such as the rich reds of Schiava and Lagrein to the complex whites of Gewürztraminer and beyond. South Tyrol is Italy’s smallest wine-producing area, yet it still surprises with the indisputable quality of its wines, which rank among the most awarded at the national level. Every 12th award-winning Italian wine comes from South Tyrol — an impressive feat for a region that represents just 0.7% of national production. Like mountain scenery, Alpine food tends to capture your heart and not let go. While you can certainly browse directly to whatever dish tempts you at the moment, the book is best devoured one page at a time. If food provides a window into a region’s history, values and soul, Alpine Flavours gives you a sweeping view of the Italian Alps. 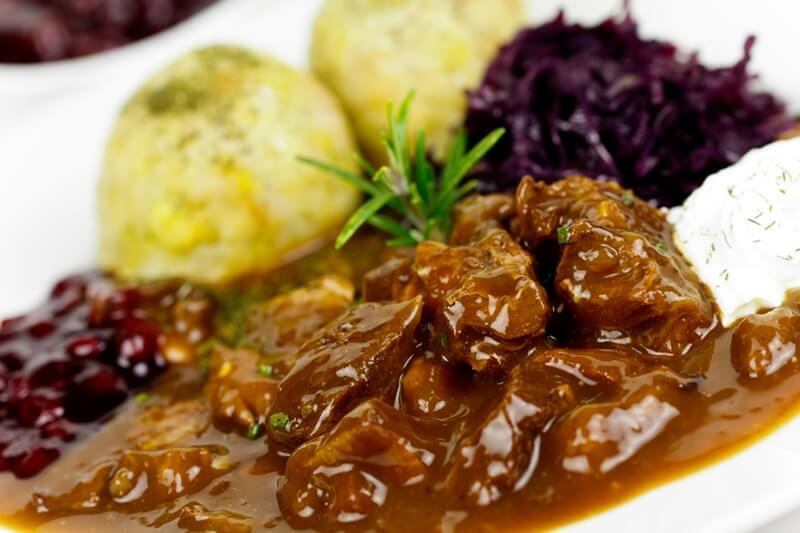 “Knödel” is a classic Alpine food dish of South Tyrol. 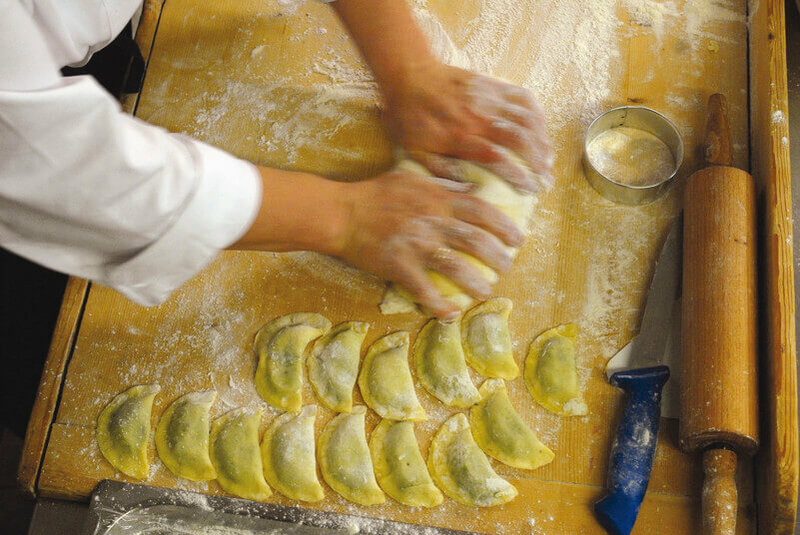 This dumpling dish has medieval roots — coming in a variety of types, including spinach, porcini, cheese, speck and much more. 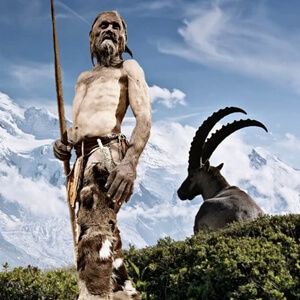 You’ll come away with a historical foundation of South Tyrol’s cuisine. Not to mention a deep appreciation for how its rural heartiness has evolved into mountain recipes now revered. Even if your talents are less than average in the kitchen, you will have no problem finding dishes to easily tackle. The book designates recipes by their level of difficulty — easy, medium and high. And at nearly 300 pages, you will not run out of Alpine recipes to attempt. Beyond the recipes, Alpine Flavours features ample information on the different South Tyrolean wines recommended, as well as an overview of Törggelen, a beloved autumn tradition that is South Tyrol’s largest annual culinary event. 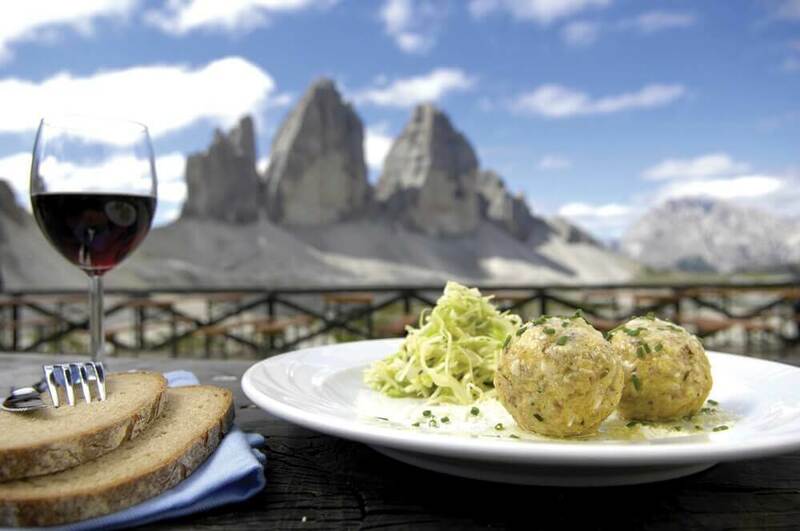 In South Tyrol, like much of Europe, mealtime is both an experience and an art form to appreciate and savor. If you long to harken back to a simpler time, Alpine Flavours can be your guide. After creating a few of the dishes from the cookbook, we think it will become quite clear why South Tyrol is the culinary star of Italy — boasting more Michelin-starred restaurants than any other region of the country. 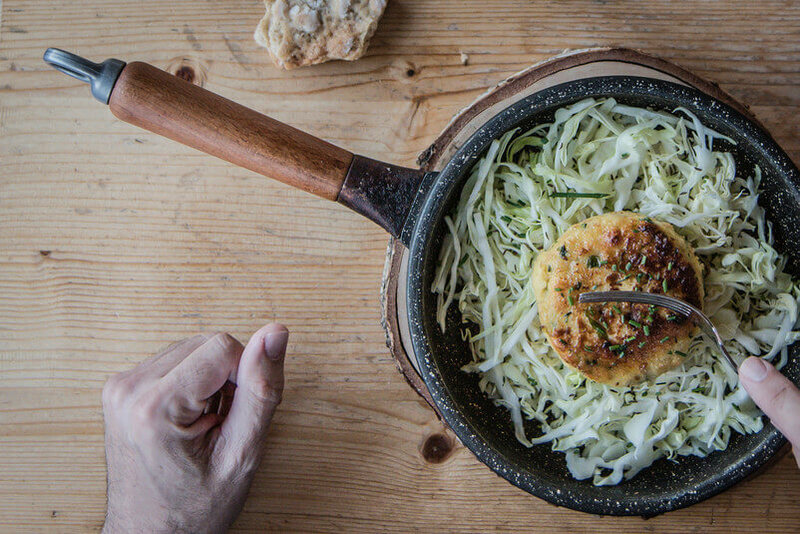 The rural roots of South Tyroleans make them exceptionally masterful at harnessing the flavors of the land from pasture to forest. Despite a population of a mere 500,000, South Tyrol is revered worldwide for the quality of the region’s ingredients as well as to the refinement of their preparation. Beyond hearty Alpine dishes, you’ll also learn how to make lighter traditional fare such as Mezzelune pasta. 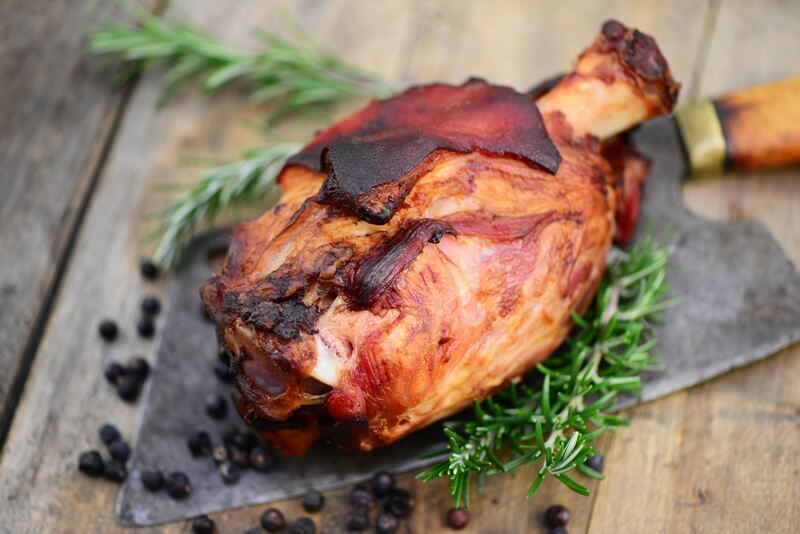 Not every ingredient mentioned in the book may be readily available unless you’re near the Alps or wish to have the regional specialties shipped to your home. Do not let that be a deterrent to enjoying any of Alpine dishes within. By being a bit resourceful and a little creative you can find worthy ingredient substitutes as needed. Depending on how much you like to cook, Alpine Flavours is a cookbook you can turn to every day. Many dishes do not require overly lengthy preparation time. But those who embrace slow travel and slow food will find it the most more rewarding. 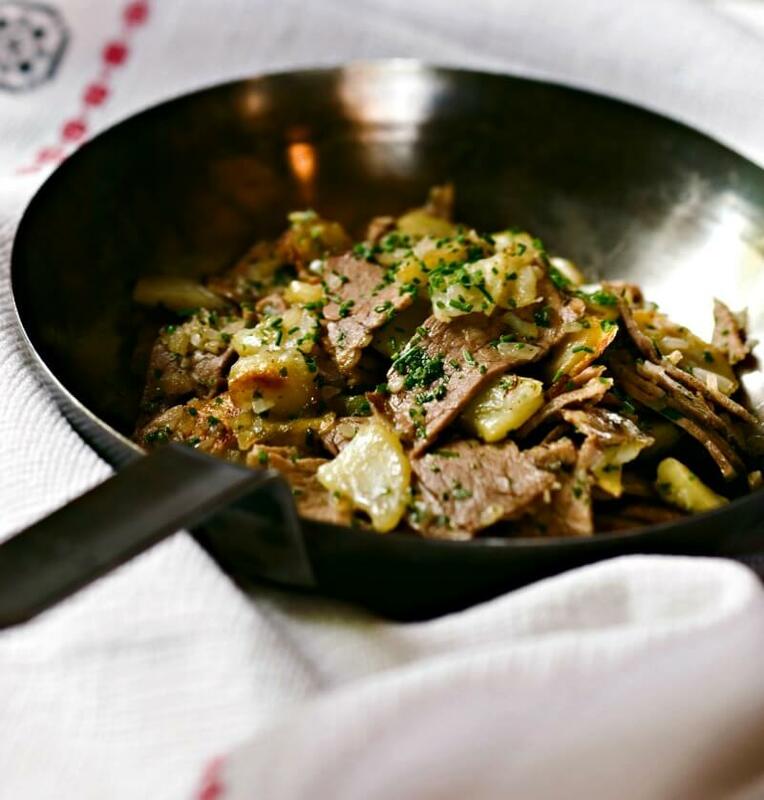 Bauerngröstel is a delicious beef and potato Alpine dish we fry up again and again. During weekend brunches, we add a fried egg on top. For us, we simply pick one recipe per week to make. Still, even with this frequency, we have found so many favorites calling us back we’re still working our way through the book over a year later. Don’t be surprised if the same happens to you. Like mountain scenery, Alpine food tends to capture your heart and not let go. As raving fans of South Tyrol, we cannot recommend enough embarking on an adventure in this mountainous jewel crowning northern Italy. Nothing will match the experience of savoring a mountain-to-table meal like sitting on the mountain where it was born. Yet for those that cannot make a trip to South Tyrol, the cookbook makes the act of preparing a meal a joyful adventure all on its own. Every nature lover and foodie will find mountain recipes to delight in again and again. It’s an ideal gift for those drawn to rich, rugged heartiness. The meat dishes we created from the book’s recipes have been just as savory as the main courses we’ve enjoyed at restaurants throughout South Tyrol. We were even able to replicate a knödel entree that was nearly as delicious as the treasure we devoured at one of Italy’s top mountain resorts. Transforming your kitchen into a rifugio (mountain hut) on a whim has never been easier. 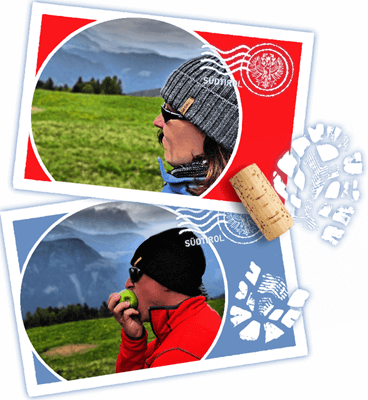 Alpine Flavours takes you on a journey to new culinary heights all without setting foot on a mountain. Make no mistake though. If the mountain calls, go. Not even your appetite should get in the way of a breathtaking hike. OH MY HEAVENS! I am droooolling, this post is beyond perfection!! To bring back recipes home seems like a cool idea. You actually bring the place home. I too cherish some flavors and now I am inspired to bring them home. Loved this mountain flavors recipe book. Hope to visit South Tyrol some day and check these dishes out. Absolutely love Italy even though I’ve never been. These recipes look and sound amazing. I will definitely have to try some traditional dishes when I finally visit! This cookbook and its recipes seem very interesting! I don’t think I’ve actually tried any of these foods that this cookbook mentions. I would like to someday though! Oh my the Goulash and the Stroesel are looking so so tasty! Living in France I know one side of the Alps but thanks to your blog I would definitely go to South Tyrol or at least get that book! Great post really! This food looks amazing. And the presentation makes it look even more delicious. Looking at these foods just brought up so many memories of traveling the area. This cookbook sounds like it would be a great addition to my kitchen. Wow, looks so yummy!! I can’t say I’m a good cook but I would love to learn. Definitely need to get my hands on a cook book! Yum! Your descriptions and images make me hungry! I will have to look into this cookbook for those cool Autumn nights that are right around the corner. Reading your mouth watering review filled with lavish praises for the cookbook makes me want to run out and buy a copy. I’m a big dessert person so I will be checking out those in the cookbook. This cookbook looks amazing! 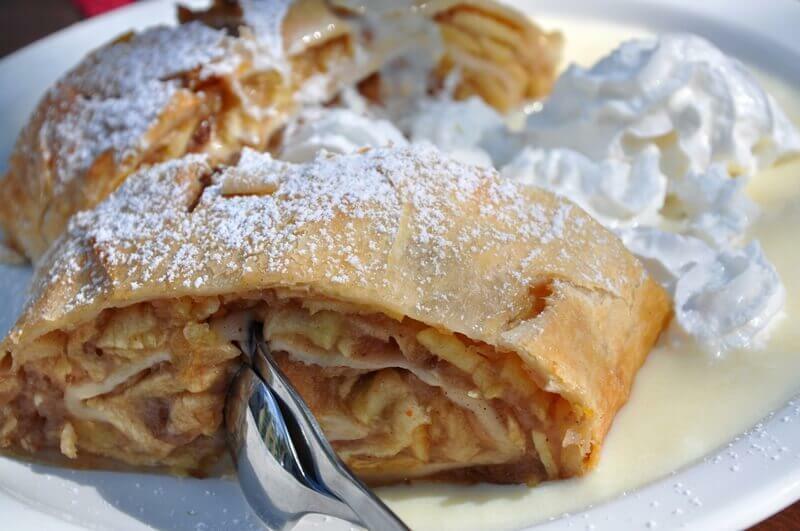 As a European I strongly recommend trying out knodel, goulash, and of course, the apple strudel. Yummy! What a wonderful cookbook!!! The recipes sound absolutely delicious!!! If someone could just come over and cook apple strudel for me.. that would be fine..
You have made this book sound amazing. It’s great to hear that there are recipes for someone that doesn’t know their way around a kitchen very well. That’s me! Thanks for sharing this cookbook. I bet mountain lovers love this cookbook. Looks like there’s a lot of interesting recipes! Amazing, I am married to a chef. I’m sure he would love something like this. Alpine flavors sounds like something I should try.. gonna check it out soon. Thanks for sharing. All the food looks so delicious! I love how food can take you places! This cookbook sounds awesome. I want to check this out and try some recipe out for my next camping trip. OMG the recipes from that book look amazing! I will have to look into and maybe get the recipe book for my mom, I know she would love it….and I would love eating all the food. Oh wow. This takes me back to my time in Italy, where I consumed copious amounts of amazing food like this! Those pictures look delicious! Perfect for the start of fall! Oh man! I wish I could say that I cook…lol…but I think that maybe I should invest in a cookbook to try some really neat recipes like these to get me motivated. These look delicious!